There are few things in life more rewarding than setting up your own business and seeing it succeed, and there has never been a better time to start out as an entrepreneur. 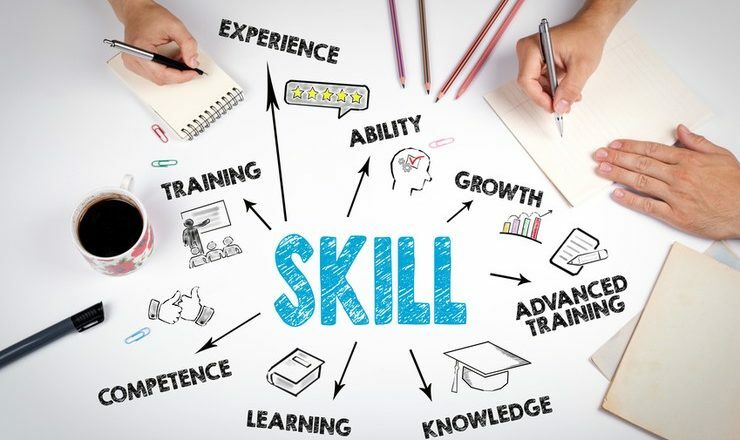 But as with any other area of life, there are certain skills and attributes that you need to acquire andto master if you are to make a success of your career. The good news is that there are many ways to improve your skills, including by checking out the latest business degree courses. For most of these qualifications, the coursework involved will feature many of the key skills required to be successful as an entrepreneur. So, if you want to run your own business, what skills do you need to acquire? To run a business successfully, the most important skills are all under the general heading of good leadership, and this attribute is particularly important if you are have a teamof employees working with you. A good leader knows how to motivate the team and get the most out of them in order to make the organization a success. Good leadership is all about knowing how people operate, understanding when to be a firm boss and when to encourage. Delegation is another aspect of leadership, along with empathy and a willingness to set a good example. Communication skills are absolutely essential to make a success of running your business. In fact, the ability to communicate effectively applies even if you are managingthe business on your own, as you will have to interact regularly with customers, clients andsuppliers. Obviously, the bigger your team, the more important your communication skills become. The ability to communicate effectively with your employees can serve to motivate them and to improve productivity. Good communication extends to both speaking and writing. It requires the ability to speak clearly and be understood, as well as an awareness of how your communication style is received, and a willingness to work to improve on any weak points. Branding is a wide subject, and can including both personal and business branding, if you are a sole trader or your personal brand is important to the success of the business,branding skills will enable you to put your and your company on the map. These days, branding requires an ability to get the most out of social media, and the various business network that are available. Beyond the personal branding, you also have to have an eye for the market, and the ability to communicate your customer brand clearly. These skills can be learned, but they are essential if you are to differentiate your brand from the thousands of others in the digital marketplace. Running your own business can sometimes leave you focused only on day-to-day issues, but success in any business also requires you to take an overview and plot a course. Strategic business owners see the big picture and have an idea of where they are going in the short, medium and long terms. The ability to set goals and put strategies into place to achieve those goals is a crucial part of running a business, and a strategic approach should be incorporated into your routine, including taking regular time out to update your plans, and reassess your strategic goals. Marketing is a crucial aspect of any business, and a grasp of basic marketing skills can give you a significant edge. That is particularly important if your business is new or you don’t have the advantage of a large marketing budget. Marketing is about creativity and research. You need to be aware of the latest trends in your key markets, and the latest marketing tools. Understanding what your customers need and what they want and how you can engage with them is crucial. Beyond that, you need to be creative enough to engage with potential customers who are bombarded with marketing messages every day. This is one of the hardest skills to master, but it can be done, by taking a marketing course which will enable you to learn from professionals. Running your own business requires a wide range of skills and qualities, but these are the core elements that combine most often in successful businesses. And if you think you are lacking in any of these five areas, there are plenty of educational resources available to help you to improve. How to select the best educational applications for children?